THE NATURAL HAVEN: Hair Cycle: Broken Hair or Sprouting Hair? Hair Cycle: Broken Hair or Sprouting Hair? I'm still answering your questions and this one comes in the form of a video (thanks hybridomatech) asking about the hair growth cycle. Therefore only 1 in every 1000 strands is being replaced daily. If you find a collection of hair in one place that appears to be abnormally shorter, it is very likely that this is breakage. The perimeter is quite susceptible because it is one of if not the most handled areas. 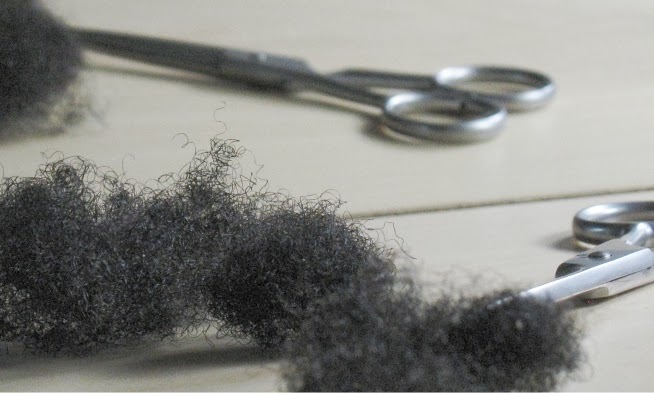 The best way to monitor breakage is to look at the hair that comes out when combing/brushing. Look out for the bulb tip and if most hair has this bulb then you are not breaking your hair.